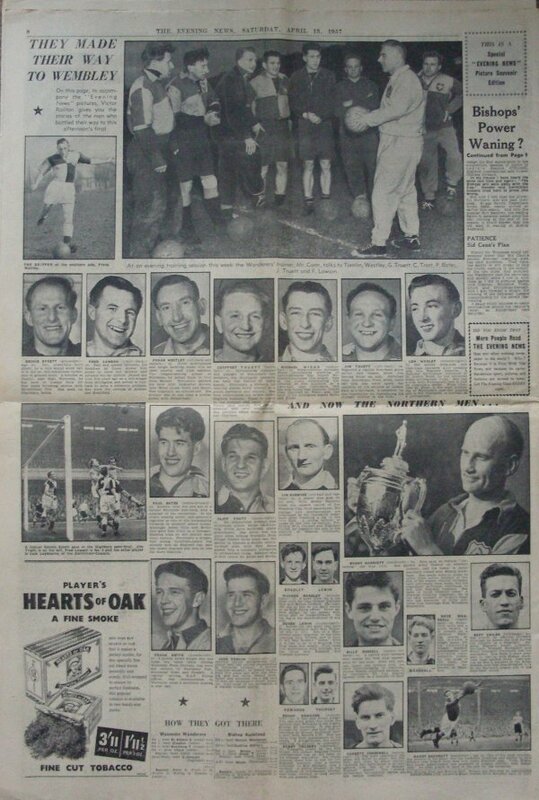 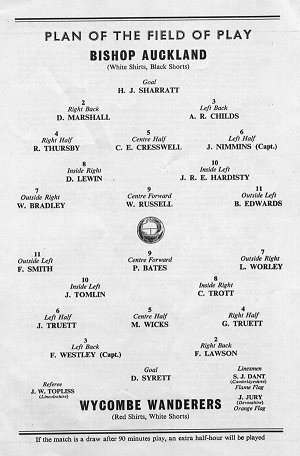 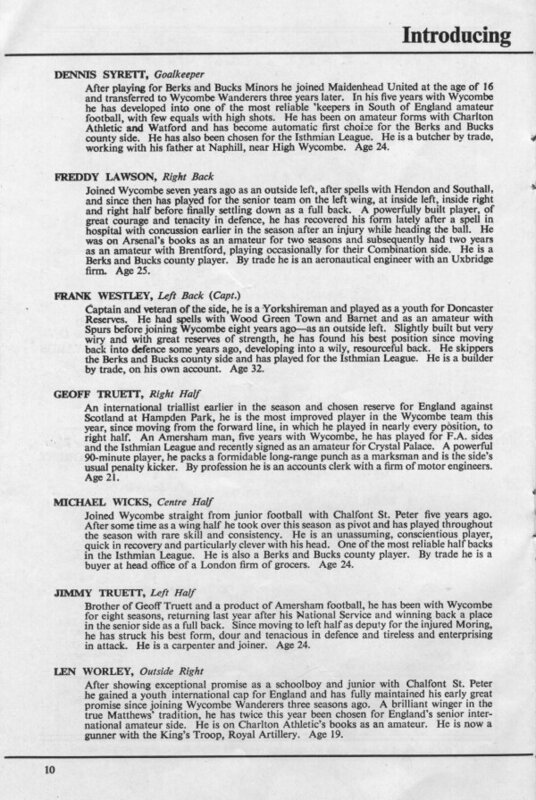 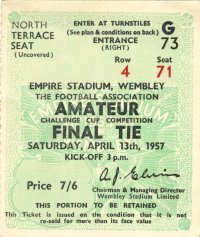 Wanderers' 1956/57 season will be best remembered for the Club's first ever visit to Wembley Stadium having reached the Final of the FA Amateur Cup. 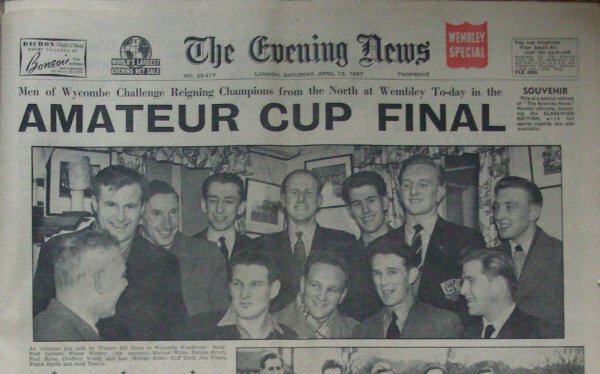 With two semi-final defeats in the earlier part of the decade, this proved to be the third time lucky for the Wanderers and the visit to the 'Twin Towers' captured the imagination of the town, with more than 20,000 followers making the short journey to cheer on the team against the then mighty Bishop Auckland. 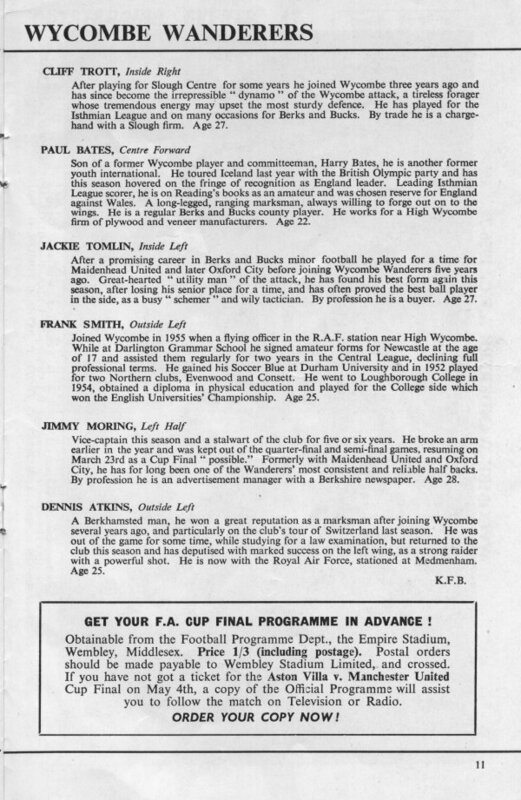 This page shows scans of some of the matchday programme issued for the Final at Wembley and also a Souvenir edition of The Evening News produced to preview the Final. 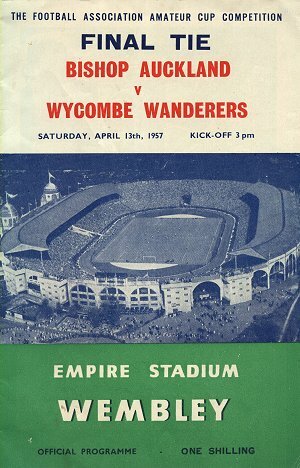 For a detailed look at Wanderers route to Wembley see Part One.